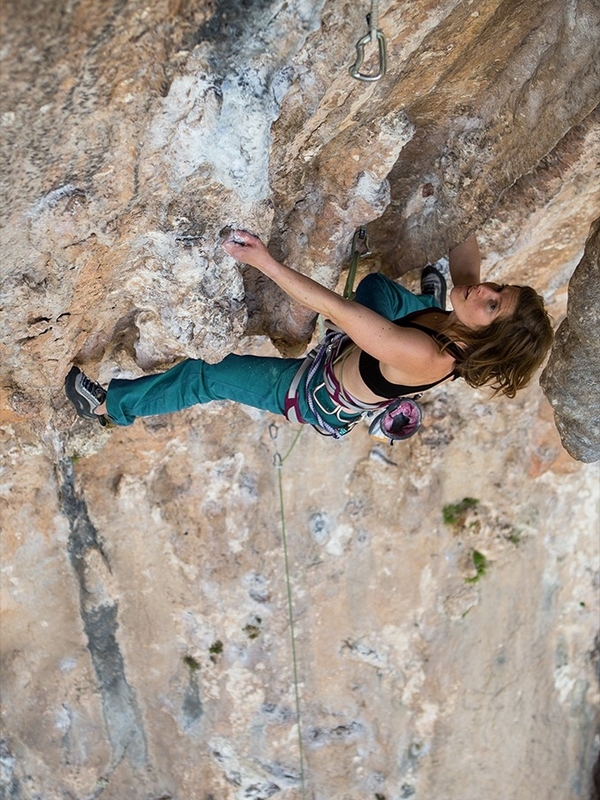 Climbing while pregnant is largely a mystery to most climbers. We all climb, we try hard, we fail, we push ourselves, but it's not often that we see someone doing all these things while climbing for two! Since moving to NYC, Ayelet has been a member and frequent visitor to The Cliffs at LIC, and she was kind enough to give a little insight into this dramatic change in lifestyle and body, and how that impacted her climbing. Pregnancy is at its core a personal journey, and this is Ayelet's personal story. This past year was full of changes: I got married, left my job, moved to a new country, was pregnant, and had a baby. The scariest change of all was becoming pregnant. I didn't know how pregnancy would affect my body, and I couldn't imagine my life without climbing. Up until then, I had been an enthusiastic climber and loved to train, compete, and push my limits. Thankfully, I didn’t get enormous right away! I gradually grew over the course of a few months, so my mind and body had time to adjust to my body's new form. During the first trimester, I found that climbing had a miraculous effect on my body: every time I felt tired or nauseous, I would go climbing and instantly feel better. The hardest part was just getting to the gym or crag. Before getting pregnant, I was mainly a boulderer. I used to have long sessions 3 - 4 times a week where I would train power endurance and strength and push myself on hard climbs. Being pregnant changed all that: I didn’t want to risk the pregnancy by falling, so I started top-roping. I was able to push my endurance on ropes and continue to improve. Still, I didn't give up bouldering entirely, but I mainly traversed low on the wall near the pad, and had my husband spot me when needed. During my second trimester, my husband and I moved from Israel, my home country, to New York. Before settling in the big city, we went on our honeymoon: a three-week road trip through Wyoming and Utah. We spent all our time outside, hiking, camping, and climbing. I was getting bigger, but I was starting to feel better and my energy was coming back. Being pregnant didn’t affect the trip that much, but it would have been way harder without my maternity pants! Very useful on long drives. The third trimester brought many new challenges, but also many new solutions. I was starting each day with prenatal yoga: breathing, stretching, and relaxing—getting ready for the upcoming birth. Yoga helped me deal with all the changes that were happening to my body, and all the discomfort they brought. At that point, I was mainly top-roping, and it was crucial that I switch to a maternity harness. It wasn't easy to find—maternity harnesses don't get made anymore and my choices were between buying one secondhand (which I couldn't find), or buying a new Petzl 8003 Full Body Harness. I bought the Petzl one, and even though it wasn't padded and felt very big, it worked! I was so happy to be able to climb again. By the end of the 8th month, I was starting to feel pressure on my belly (I was getting bigger and bigger) and started down climbing to avoid sitting in the harness, just in case. Nevertheless, the biggest challenge (except for putting my shoes on!) was a mental one. Despite my efforts, with each day passing, I could do less. I learned that there was no place for ego, expectations, or comparison with other people or even with myself. I knew that I should enjoy my ability to climb, and listen to my body and the limits it set for me on that specific day. I think that most of the time, I was able to cross this mental obstacle and have fun, which makes me very proud. Being pregnant was an amazing experience. It gave me the opportunity to take a break from my hectic lifestyle and take a moment to listen to my body. I felt healthy and powerful and thankful to be a woman, to be able to combine my passion for climbing and the miracle of birth! My message to all of you beautiful pregnant ladies is to take the time and find out what makes you feel good, even if it’s not "popular" among doctors. You know what’s best for you! And read Beth Rodden's blog, it’s very inspiring!